Jackie Glazier’s dream of a WSOP bracelet has fallen at the final hurdle after former New York police officer Greg Ostrander took out Event #41, the $3000 No Limit Hold’em tournament, at the 2012 World Series of Poker. Glazier (pictured left during the heads-up contest, with thanks to wsop.com) was assured USD $458,996 for second-place having outlasted all but one of the 1394 starters. That payout is the biggest ever won by an Australian female in tournament poker. The heads-up contest started yesterday evening (AEST) with Glazier leading Ostrander 7.495 million to 5.055 million in chips. After a short period, the duo elected to bag and tag their chips for the night with Glazier out to a more than 3:1 chip lead. 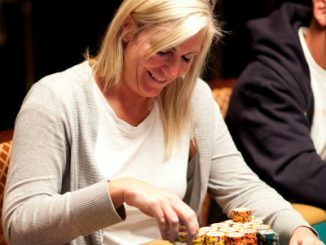 On their return this morning, Glazier was quickly on the cusp of victory when she took down a big pot and held 10.7 million of the 12.5 million chips in play. But the momentum shifted back in favour of Ostrander – after eradicating Glazier’s chip lead, the American continued to dominate. • In other action from the Rio, Oleksii Kovalchuk became the first Ukrainian poker player to win two gold bracelets, after he took the top prize in the $2500 buy-in Mixed-Split Seven-Card Stud/Omaha title. Kovalchuk’s previous victory took place last year in the $2500 buy-in Six-Handed No-Limit Hold’em event. 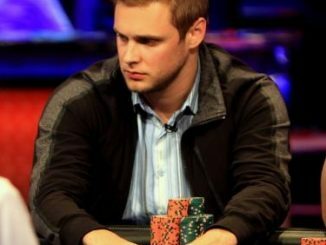 He now has seven career cashes and nearly $1 million in WSOP earnings, after a $228,014 payday for this victory. The runner up was George Danzer, from Munich, Germany. Mark Gregorich, the long-time Split-games specialist from Las Vegas, took third. Australia’s Jeff Lisandro entered the final day of play with the chip lead in pursuit of his sixth WSOP bracelet, and ultimately finished in 10th place. 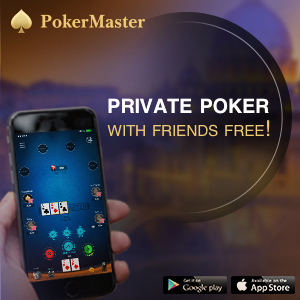 • Ask most of the top poker professionals about the victory they’d most like to achieve purely in terms of peer respect and prestige, and it’s probably winning the WSOP’s annual $50,000 buy-in Poker Players Championship. This exalted poker spectacle started in 2006. 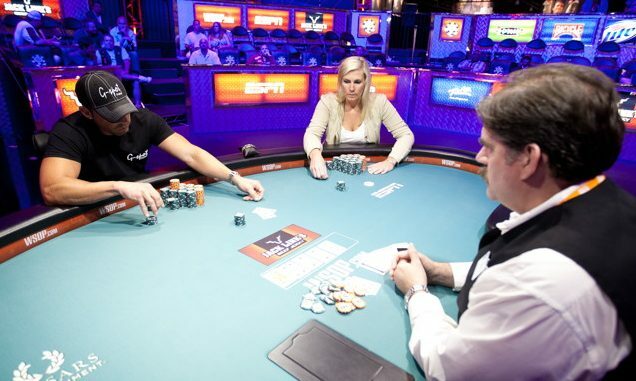 It immediately attracted the most celebrated superstars in poker. Fittingly, the inaugural tournament was won by the late great legend David “Chip” Reese, who defeated the venerable Andy Bloch in an epic all-night heads-up battle. 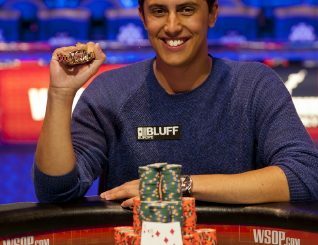 This year’s Poker Player Championship, which is the event’s seventh annual competition, attracted 108 players (Lisandro was seventh in chips after day one). The world’s best all-around poker players will be playing a mix of eight games – including Limit Hold’em, Omaha High-Low Split, Razz, Seven-Card Stud, Seven-Card Stud High-Low Split, Deuce-to-Seven Triple-Draw Lowball, Pot-Limit Omaha, and No-Limit Hold’em. • Event #43, a $1500 buy-in No Limit Hold’em tournament, has been reduced from 2770 starters to just 20 players. The USA’s Zach Clark, Hungarian Balazs Botond and the UK’s Neil Channing lay just a handful of chips apart at the top of the count. In Event #44, the $1000 buy-in No Limit Hold’em tournament, 90 per cent of the 2949 players have been eliminated leaving 297 to return for day two. Simon Welds and Amnon Filippi lead the field, while Aussies Chris Moutzouris and Sarah Beard will also be back in pursuit of the gold. The $2500 buy-in No Limit Hold’em tournament, Event #46 on the schedule, starts today.